For the next three weeks I've selected stories appropriate for Thanksgiving storytelling. 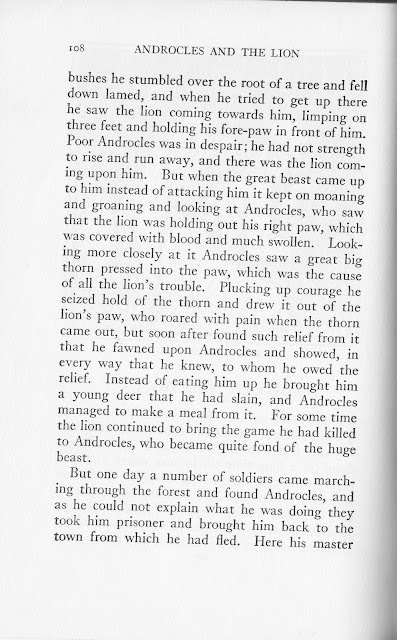 Chestnuts may sometimes be part of stuffing, so here's a non-edible Chestnut with a story so traditional it almost defines a Tale Type. This definitely is the Stith Thompson Motif called The Grateful Animals. 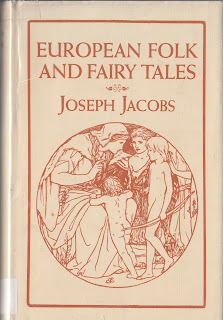 The Aesop's fable about the Lion and the Mouse and the Jataka tale about a thorn removed from an elephant's foot are all related and show the way this story traveled to become part of what the noted folktale collector, Joseph Jacobs, saw as an important part of European traditional folklore. 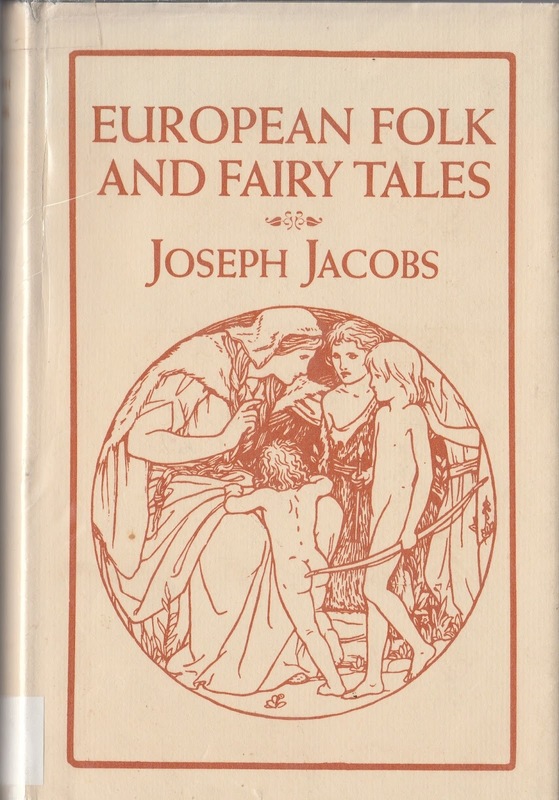 While he was Australian, Jacobs is best known for his collections of English and Celtic folklore and I've earlier posted a little of his Aesop fables. Here's the Wikipedia overview of him, but it doesn't begin to tell why his versions are still valued...they are flat out well told. 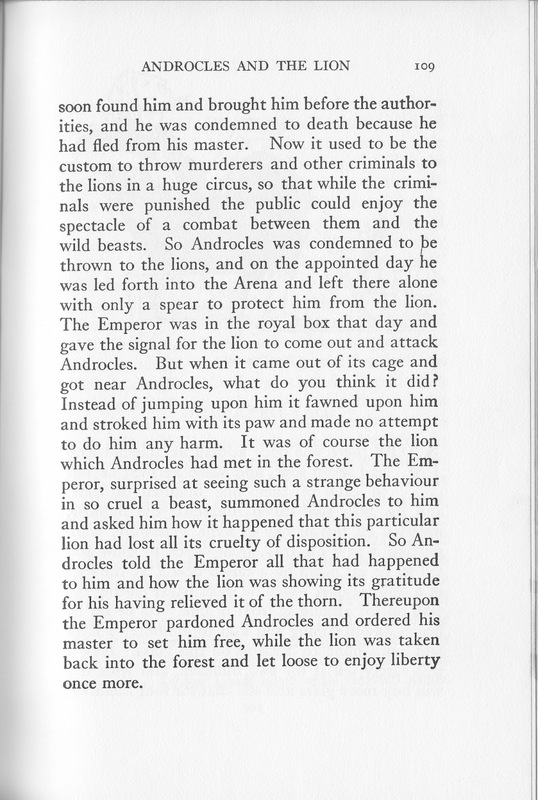 It's why I chose his version of Androcles and the Lion. 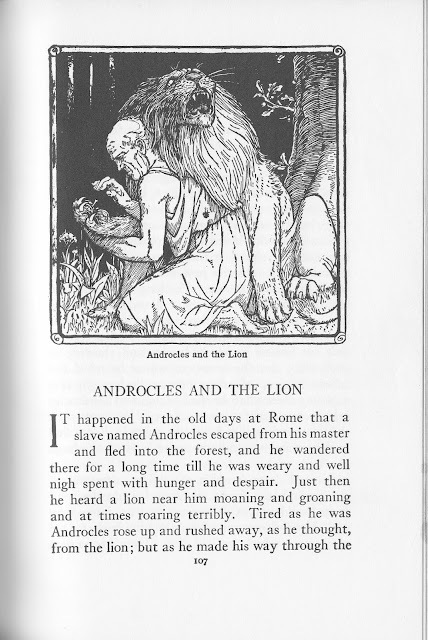 Beyond Sur La Lune try: The Earliest English Version of the Fables of Bidpai and the Fables of Aesop, which Wikipedia mentions, but that article omitted mentioning The Book of Wonder Voyages and The Most Delectable History of Reynard the Fox. He wrote beyond folklore, but it's the focus here. That's enough of an introduction. The tale is blessedly succinct. O.k. 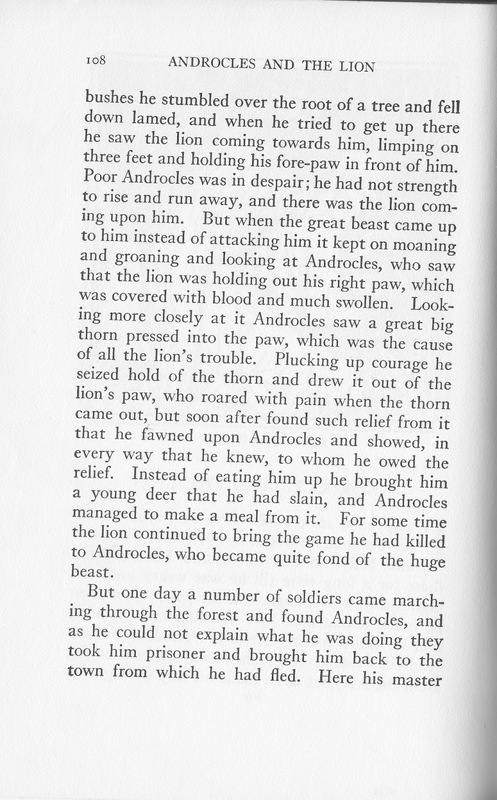 my only reservation is I'm not about to test the story with an actual lion, but poor Androcles had no choice. Both he and the lion had plenty of reason for gratitude and Thanksgiving. I called that story a Chestnut, but next week's story will be a distinctly Russian version of gratitude and thanksgiving from Afanasev. I trust you'll be grateful to know it.